Based on a series of originals made between 1953 and the early 1960s, they embody the era’s fascination with space travel and the optimism of the post-war years. … [also notable:] The large glass outer saucer – produced by the family-owned, Indiana-based manufacturer that made the original shades – features a lively “spirograph” pattern screen-printed on the glass. I’ll add more info when I get it. Meanwhile, take a look at the additional photos after the jump. AND: Thanks reader Christopher for this news tip! Update: Here is an advance copy Rejuvenation’s news release, first on the web, I think! 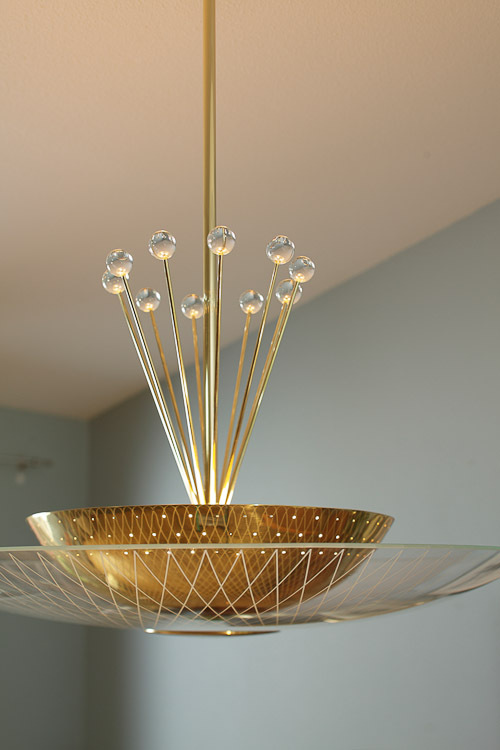 PORTLAND, OR, August 21, 2012 – Rejuvenation expands its Mid-Century Modern collection with four new ceiling fixtures: the Luna, Foton, Gamma, and Meteor. Based on a series of originals made between 1953 and the early 1960s, they embody the era’s fascination with space travel and the optimism of the post-war years. With their distinctive design, these lights are unlike anything else on the market: both retro and contemporary, sophisticated and spirited. The Meteor and Gamma are pendant lights, defined by their striking crystal-sphere-tipped rays. 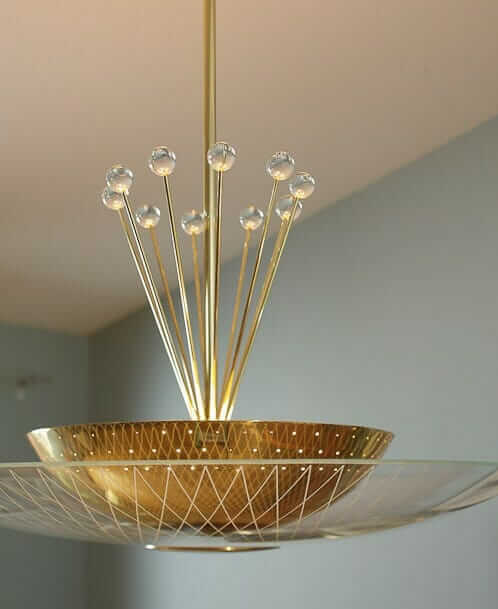 A description of these fixtures from the early ‘50s still rings true today: “Radiating brass rods, capped with crystal spheres, add to the verve of this design.” Both lights have hang-straight joints that make them suitable for use on the vaulted ceilings common to mid-century homes. All four fixtures share an unusual double-dome construction. The large glass outer saucer – produced by the family-owned, Indiana-based manufacturer that made the original shades – features a lively “spirograph” pattern screen-printed on the glass. The glass is then heated in molds until it “slumps,” resulting in the graceful half-dome shape. For the inner dome, Rejuvenation offers a choice of etched glass (Luna and Gamma) or metal (Meteor and Foton). The choice will influence the type of light: etched glass will produce a diffused semi-indirect light, while decorative pinholes in the metal bowl create a subtle starlight effect. Elegant and functional, the Luna and Foton are beautifully proportioned semi-flush fixtures that can carry a large space while their smart, compact design also makes them well-suited to accommodate rooms with lower ceilings. All four fixtures are available in Polished Chrome and Lacquered Brass finish. Prices range from $300 to $550. Thrilled to see these! If the size is right, one could end up in my breakfast room! 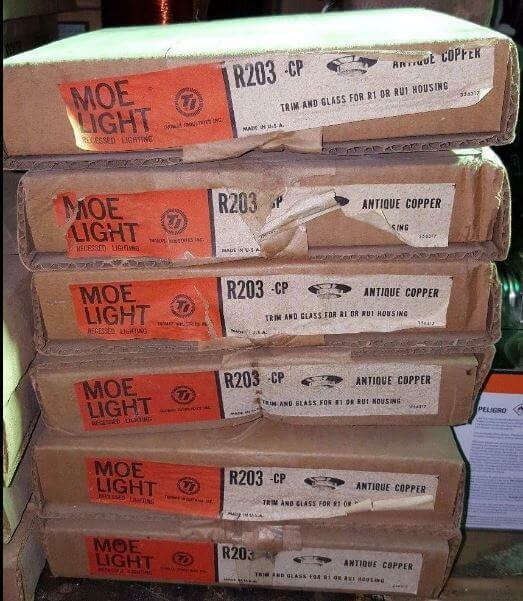 I love all of these lights, however, they are a little too Atomic for my house. I wish Rejuvenation would do a wider variety of styles. 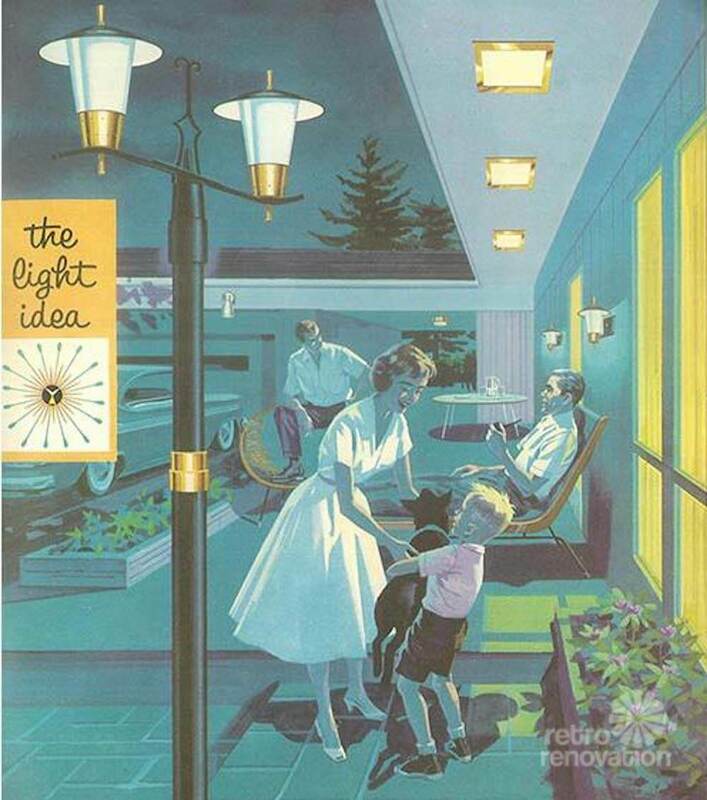 I have several original fixtures that I would like to match but can’t find anywhere. Mine are all simple cylinders and domes made of solid brass and some sort of plasticized parchment material. If you have. Light you are trying to match rejuvenation has many old fixtures as does hippo hardware and school house also makes great stuff. Just bring them into the store as I have or call, get a contact and send an email. They really have been helpful with my 1950s house. 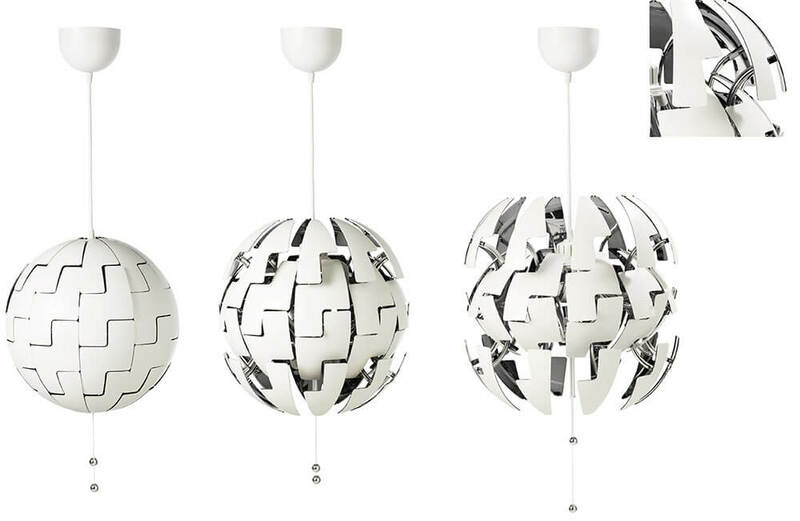 I have the original atomic light fixture that these are patterned after. It has half a lable on it. The readable part of the lable is marked “lite”. That is the last letters to the word. I am trying to figure out the name of makers of the original lamp. Mine does not have the glass and the rest is made of brass. If anyone knows the original maker please let me know. Thanks Aundra. I have an authentic one of these! Scored on etsy! 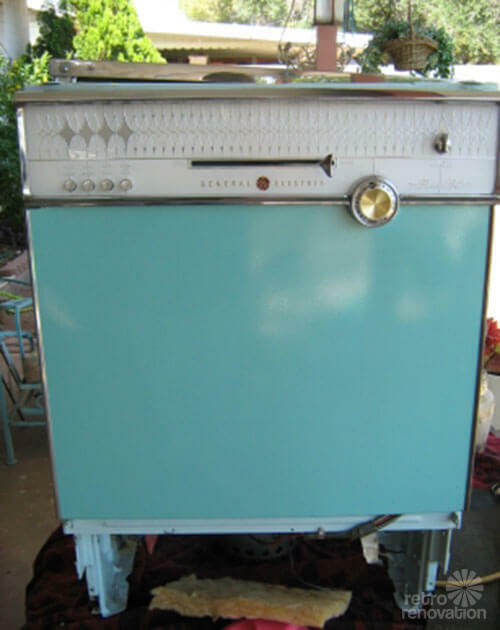 Everyone loves it – even those who don’t appreciate midcentury style.